Red homemade wines can be made from wine kits and is a good alternative when wine grapes or juice are not available. These easy step-by-step instructions are intended as a guide. It is recommended that you follow the instruction sheet that is included inside your specific winemaking kit since instructions do tend to vary by manufacturer. You can produce quality wines in a reasonably short time and at little cost. Just follow the steps. Primary Fermenter: Food-grade plastic container with cover. Ensure that your primary fermenter is capable of holding at least 30 litres (7.9 US gallons) of volume. Carboy - 23 litre (5 imp gal/6 US gal): Either glass (recommended) or food-grade plastic. Airlock and Rubber Bung: One-way valve to seal Carboy at neck. Airlock must be half-filled with water and inserted into the top of the Carboy when it is filled with wine. Siphon Rod and Hose: 4 to 6 feet of food-grade plastic tubing attached to a rigid acrylic rod. Hydrometer and Test Cylinder: Measures specific gravity to monitor fermentation and sugar levels. Long Stirring Spoon: Food-grade plastic or stainless steel, approximately 28in./70cm. long. Measuring Cup: 2 cup/500 ml. Floating Thermometer: Tracks fermentation temperature. Wine Thief: To remove wine samples from primary or carboy. Wine Bottles: Thirty 750 ml wine bottles. Wine Bottle Corks: Thirty Synthetic or high grade corks are recommended to maintain the integrity of the wine. Corker: This may be purchased or rented from a retailer. Automatic Bottle Filler or Bottle Filling Wand. 1 package of: Metabisulphite - to prevent premature oxidation of the wine. The Wine Kit should contain one or both of these Fining agents for clearing the wine. The primary fermenter should be well marked at 23 litres (5 imp gal/6 US gal) level. Fill your carboy with cool water, then pour the water into the primary fermenter. Draw a line in permanent marker on the fermenter at the water level. This will be your fill level. Discard water and begin. Clean and sanitise primary fermenter and lid, spoon, thermometer, hydrometer and test jar, and wine thief. Rinse thoroughly. Add 2 litres (one-half gallon) of hot water to the bottom of your sanitised primary fermenter. Stir the water vigorously and slowly sprinkle the contents of package(s) #2 (bentonite) onto the surface. Stir for 30 seconds to ensure even dispersal, and to break up any clumps. Empty contents of juice or concentrate bag into mixture in Primary Fermenter. Rinse out any remaining juice with warm water and add it to the fermenter. Top up fermenter to the 23 litre (5 imp gal/6 US gallon) mark with lukewarm water. Check to make sure the water temperature in Primary Fermenter is between 20-25°C/70-80°F. Stir vigorously 30 seconds. Using the wine thief, draw a sample of the juice and use your hydrometer and test jar to check the specific gravity. It should read between 1.070-1.110, depending on the wine type or kit. If your wine kit contains oak tear open the package(s) and sprinkle them into the primary fermenter now. If your kit has more than one package of oak, add them all. Stir them under the surface of the liquid. Ensure that the temperature of the juice is between 20-25°C/72-75°F. Do not proceed unless the juice is in this range. ADD YOUR YEAST NOW. Open the yeast package and sprinkle contents onto the surface of the juice. Do not rehydrate the yeast. Do not stir it in. It will activate on its own. Cover the primary fermenter and place in a location with a temperature of 20-25°C/72-75°F. If your primary fermenter uses an airlock, insert it now. Remember to fill airlock halfway with water. Place Primary Fermenter in a warm, raised area about 3 feet high where it will be undisturbed. Fermentation (bubbling or foaming) should start within 24-48 hours. Most wine kits will specify to only proceed to this step when the specific gravity has reached a reading of 0.998 or lower. Clean and sanitize siphon hose, carboy and mixing spoon. Siphon wine into a sanitised 23 litre (5 imp gal/6 US gal) carboy or primary bucket (optional). Discard sediment in primary fermenter. Add the package of Metabisulphite to the carboy and stir vigorously. Add the package Potassium Sorbate (if your wine kit contains 2 packages add both) to the carboy and stir vigorously. The wine needs extremely vigorous stirring during this stage. Without hard stirring, trapped gas in the wine will prevent clearing. Degas wine for 5 minutes by stirring vigorously or with a drill mounted stirring device. Add package of Kieselsol to wine and stir for 1 minute. Then add package of Chitosan and stir well. Important: Do not reverse the order of Kieselsol and Chitosan. Degass wine for 5 minutes by stirring vigorously. If in primary bucket, rack back into carboy. Attach bung and airlock. Top up to within two inches of the airlock. Attach bung and airlock. Let wine stand until Day 42 in an elevated cool area (15-19°C/59-66°F). OPTIONAL: After approximately 10 days optional racking may be done. Simply rack the wine into a fresh, clean sanitized carboy, top up if necessary with wine and discard the sediment. IMPORTANT:Only crystal clear wine is suitable for bottling. If wine is cloudy, wait an additional few days for wine to clear. At this point you may wish to filter (polish) your wine prior to bottling. Clean and sanitize the Primary Fermenter, Siphon Assembly and Wine Bottles. Make sure everything is well-rinsed before you begin. Siphon or filter (optional) the wine into Primary Fermenter. If you want to age your wine more than 6 months, you must add extra metabisulphite powder to prevent oxidation. To do this add 1.5 grams (¼ teaspoon) of metabisulphite powder to the Primary Fermenter. This extra sulphite will not affect flavour or early drinkability. Siphon your wine using a Bottle-filling Wand (or use a Super Automatic Bottle Filler) into clean, sanitised bottles and seal with a good quality cork using a proper corking machine. Be sure to leave room for the cork and a small air space of no more than one inch (about two finger widths) between the wine and cork. This is important: you don't want to leave a lot of airspace in the bottles, but you have to leave enough room under the cork for the compressed air to sit. Keep wine bottles upright for 1 day. Then age wine bottles on their sides to keep corks moist. Store bottles in a dark, cool, temperature-stable place. Try to wait at least 2-3 months before you taste your wine - but it will improve even more after three months. 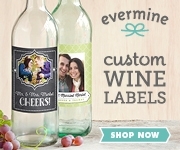 To order wine making kits Click Here!